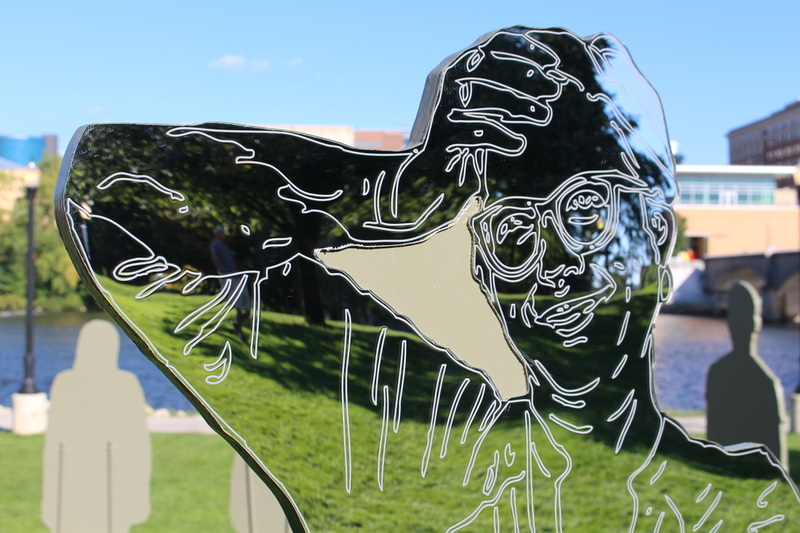 Public art is at its best when the public is involved--and knows it. Many people feel cut off from art in a gallery or museum--that they simply don't belong in those environments. I wanted to create a piece that demonstrated to the viewer that they are an essential part of the work, and to create a sense of empathy. By offering life-size human figures of diverse shape, size, and physicality, I wanted to give the viewer a chance to consider their own reflection as seen in the shape of someone else. But more than that, I wanted to show the viewer that they are present in the work and in the community--literally. By gazing into the reflection of one of the 21 figures, they could see themselves in others, see themselves in the city, and see themselves in art. 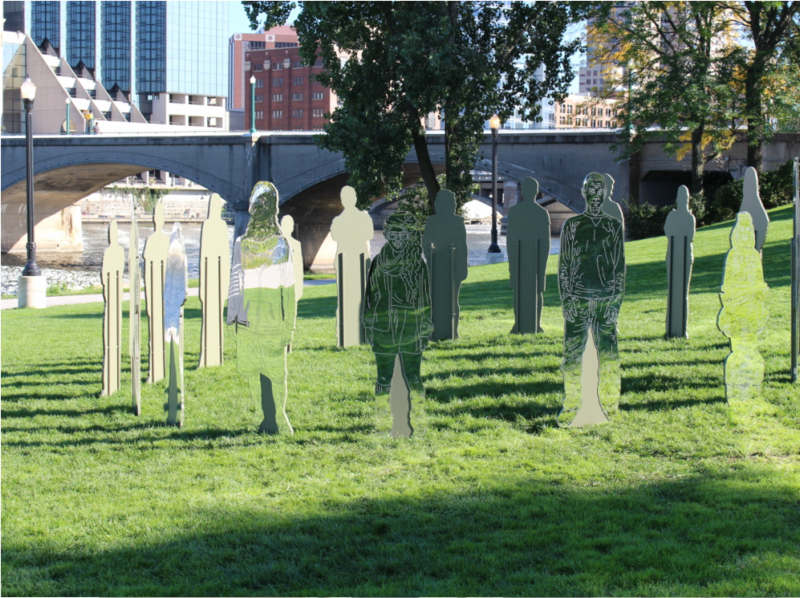 Metanoia: You Are Here, mixed media installation (acrylic mirror, wood, steel) for ArtPrize 2014, September 24-October 12.Ah-Nab-Awen Park, Grand Rapids, Michigan. In partnership with Smith College Recent Graduates Collective. Click image below for complete gallery. Installation view looking south in Ah-Nab-Awen Park with the Gillett Bridge in the distance. Special thanks to Ben and Sarah Fogg, Fogg Filler (Holland, Michigan), Smith College Recent Graduates Collective, Mary Baxter, Nissa Crumpler, Nicholas Germann, friends, family, and everyone who contributed to and supported the project.